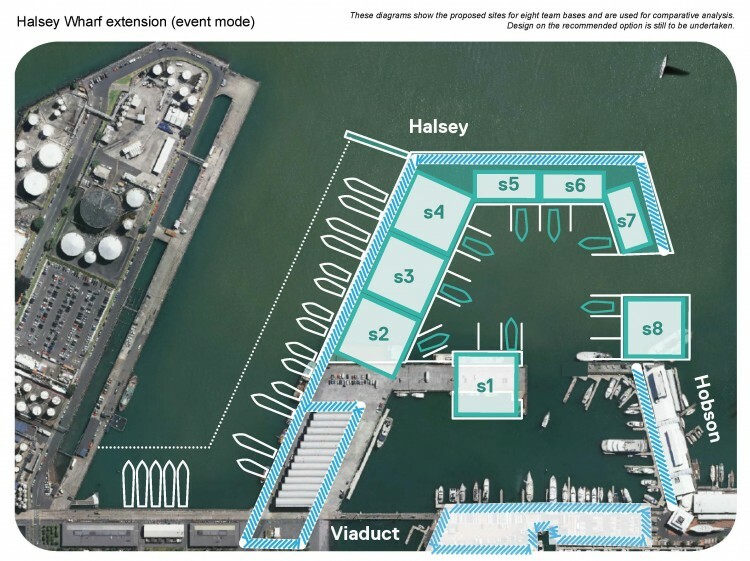 Auckland Council’s Governing Body will next week be asked to approve a team base location for hosting the 36th America’s Cup in 2021. 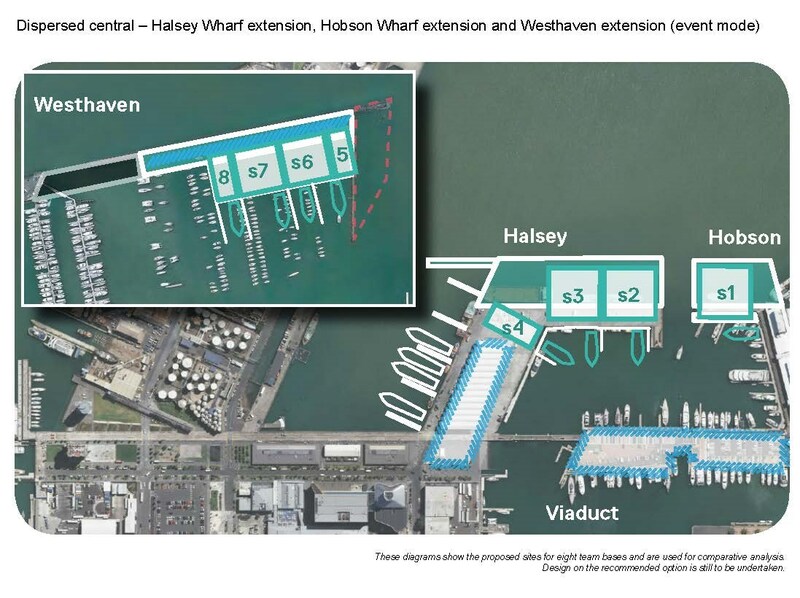 Auckland Council Chief Executive Stephen Town says a decision on a location is required at the Governing Body meeting on 23 November to allow for resource consent to be lodged in January. “The main America’s Cup races are likely to be held from January to March 2021, so to meet the event’s timeframes and the anticipated arrival of syndicates, construction needs to be substantially complete by mid to late 2019,” he says. 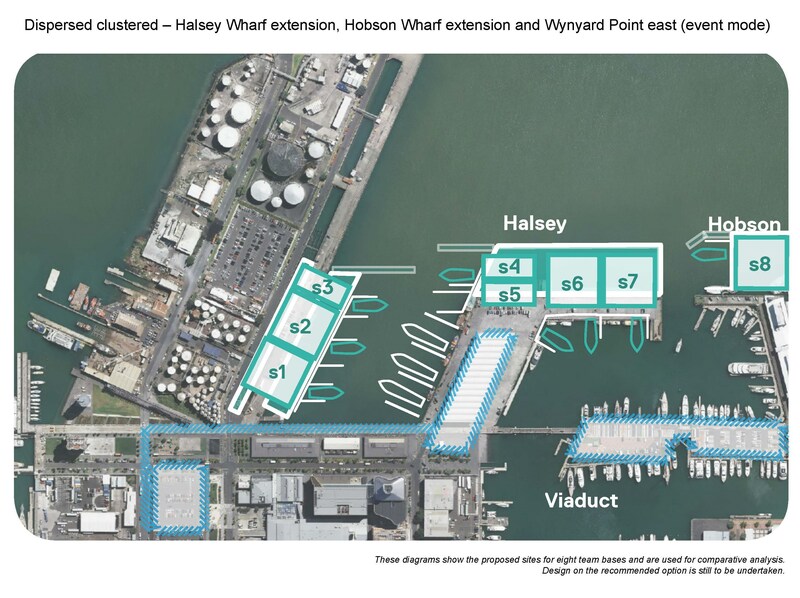 a dispersed option across Halsey Wharf, Hobson Wharf and Wynyard Point East. See below for full details of the five options. Stephen Town says the indicative costs for the five options range from $140 million to $190 million. “This funding will be included in the council’s Long-term Plan, on the basis that a funding package will need to be negotiated, sharing costs between the council, the government and private sector investors,” he says. Town added that the Governing Body will also consider the consent process that will be required to meet the event deadline. Meets event requirements, and provides a legacy for the marine and events sectors with new sheltered water space. Meets event requirements and close to amenities such as Shed 10 and The Cloud. 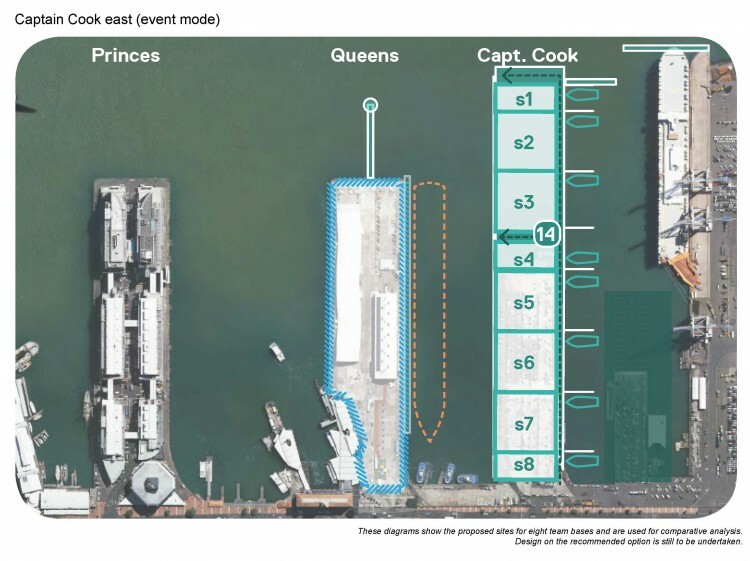 Meets event requirements and close to amenities but does turn its back on Queens Wharf. Delivers new sheltered water space to provide for the growth of the marine and event sectors. Wharf structure in this location consistent with the intent of the Waterfront Plan 2012. Delivers the new opportunity of sheltered water space to provide for the growth of the marine and events sector. 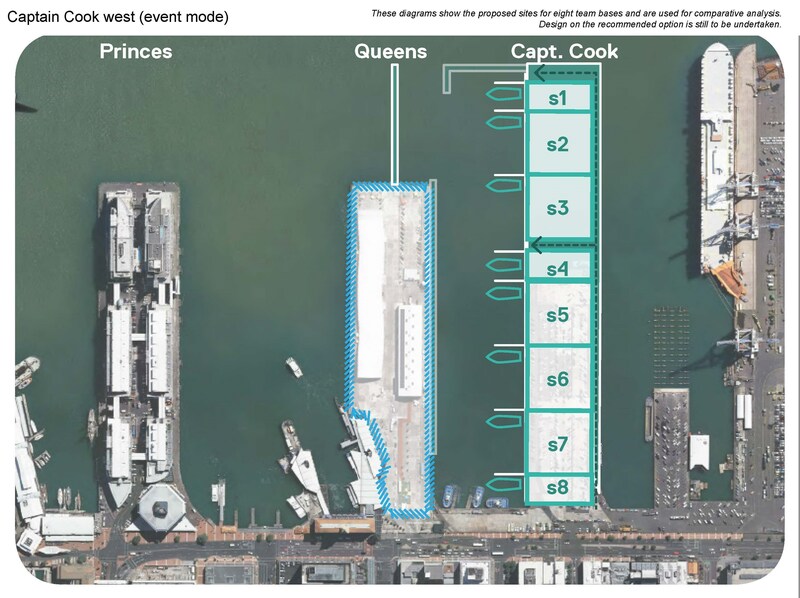 The Ministry of Business, Innovation and Employment commissioned a study by Market Economics on the potential economic impact of Auckland hosting the 36th America’s Cup. The study stated that hosting the 2021 America’s Cup will add between $555 and $977 million to the New Zealand economy. That figure is simply the direct benefits of hosting the event. It does not consider the benefits of any new infrastructure, or ongoing benefits to the marine industry.